Artificial intelligence is no longer the stuff of science fiction. Led by advances being made in academia and Silicon Valley, computing power is growing at an unprecedented and accelerating rate. As AI becomes more prevalent in finance software, the question facing you, the finance leader, isn’t whether it will change your job, but how to prepare for its arrival. This paper is a primer designed to help you develop an AI strategy for your finance team. 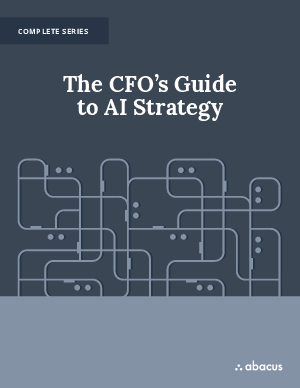 You’ll understand key concepts about this revolutionary technology, including how it works, why finance specifically stands to benefit, and how to apply AI in a way that returns the most value to your team.